See scan – perfect condition. This is a nice and rare Imperial Russian medal – a special mint strike of the medal manufacturer Kutschkin who worked for the Royal Palace for medals and orders make. 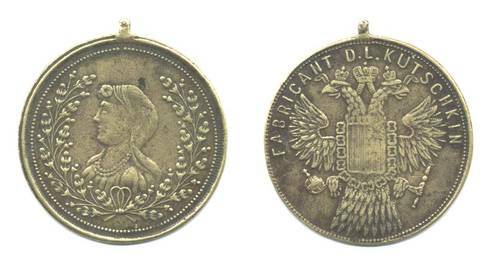 Front of the medal shows most likely to be a portrait of the late Queen / Emperor Catherine the Great / Ekaterina surrounded by a wreath. 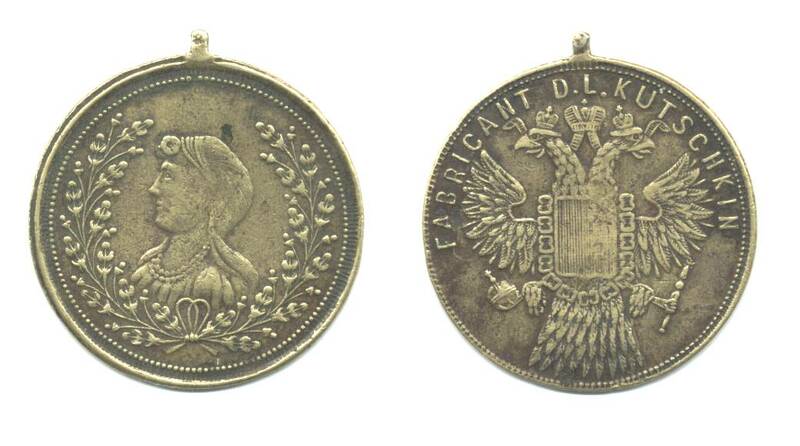 Back is the Imperial Russian Coat of Arms / Crest showing a two headed crowned eagle holding Royalty regalia. Nice collector piece.